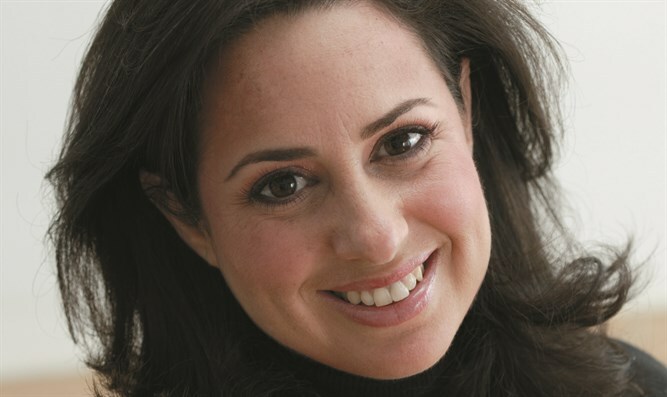 After nine “Kosher by Design” books, Susie Fishbein is calling it quits. (JTA) — When Susie Fishbein wrote her first “Kosher By Design” cookbook nearly 15 years ago, she saw an opening in the market for a book in the style of mainstream cooks like Ina Garten and Martha Stewart. “Those were my idols,” she told JTA. As such, Fishbein dreamed of writing a kosher cookbook that featured recipes beyond potato kugel and chicken soup. Just as important, the book would set a high bar for food styling and attractive design. “Kosher by Design” was published in 2003, and it took the kosher food world by storm. In the first few weeks, over 27,000 copies were sold. Two weeks after its release, the book went into its second printing. But now, after nine “Kosher by Design” books — including “Kosher by Design: Kids in the Kitchen” and “Passover by Design” — Fishbein is calling it quits. Her final installment, “Kosher by Design: Brings it Home,” was published earlier this year. It’s hard to overstate what an outsize presence Fishbein has had in the kosher world since her debut. Many recipes from the first “Kosher by Design” book have become staples in kosher homes — dishes like challah napkin rings, tri-color gefilte fish and Oriental spinach salad are part of the Friday night repertoire in many homes. “When I go to shows and people bring old books to get signed, the pages of this book are filthy, torn, dog-eared … very much loved,” Fishbein said. Gedaliah Zlotowitz, vice president of sales and marketing at ArtScroll, the Jewish book publisher that publishes the series, calls Fishbein "cutting edge." Though she wasn’t trained as a chef, Fishbein, 48, was once a teacher — and that’s a skill that has lent itself to cookbook writing, she explained (almost all the recipes have detailed stories and descriptions). And she wasn’t a total novice when she signed the “Kosher by Design” deal with ArtScroll. Fishbein, 48, who lives in Livingston, New Jersey, had compiled and edited a successful collection of recipes, “The Kosher Palette,” as a fundraiser for the local Jewish day school. But Fishbein’s timing for “Kosher By Design” couldn’t have been better, partly because more kosher ingredients were becoming widely available, and partly because kosher cooks were looking to expand their repertoires. That said, the first “Kosher by Design” book sold over 110,000 copies, “way beyond what we could have even imagined,” Zlotowitz says. Eight more books have followed, including “Short on Time” -- the second-most popular in the series, having sold over 75,000 copies. “I couldn’t write them fast enough,” Fishbein said. Fishbein has become something of a kosher food world celebrity, traveling all over the world to give cooking demonstrations. And these travels have served as inspiration for her latest cookbook, which includes dishes from France, Italy, Mexico and Israel. Recipes include Tuscan bean and farro soup, which she learned to make in Italy, Provencal wheatberry salad and mujadarra, a Middle Eastern rice and lentil dish. Fishbein says that in the years since she started her series, the kosher food world has changed immensely. And her cooking style has changed, too. In the beginning, “I was holding on to puff pastry with both hands,” she joked. Now, however, Fishbein stays away from more processed foods. “It wasn’t until making this my career, and bringing it to the front lobe of my brain, that my cooking became more sophisticated and health conscious,” she noted. But something else changed during that time: the kosher cookbook world. “The market has become saturated and that’s really to her credit,” Zlotowitz said. “I don’t want ArtScroll to put in a tremendous amount of money without knowing that they’ll make their money back,” Fishbein said of her decision to retire the line. Moreover, the world of books — and media, in general — has changed dramatically since 2003. “It used to be a guarantee that these cookbooks would fly off the shelves, but the business has gotten much more digital,”Fishbein explained. While she may be done with cookbooks, Fishbein is not finished with kosher food. She says she’ll be focusing instead on cooking appearances and teaching classes, as well as writing a column for Mishpacha magazine for which she tries out new gadgets (most recently a sous-vide machine she’s “totally hooked on”). Fishbein is even exploring doing a prepared food line — like those aforementioned culinary idols Garten and Stewart — but says it’s still in the beginning stages. In Fishbein’s case, her efforts paid off. “I hear all the time that we rocked the kosher world,” she said.